This is a great option for those who want to "try before you buy" or just want to come to play and see what it's all about! You'll receive your very own 22 Pen Deluxe Set of Chameleon Pens that you will use during the workshop, along with a pack of Color Cards. There is no additional charge for the workshop. Tax will be applied. (Registration deadline: February 25th (or when class fills) * Cancellations are only refundable if we have someone on the wait list to take your place. Otherwise, please arrange for someone to take your place. Those who order the pens and cancel, can arrange to pick up your supplies at another time. * Do alcohol pens have you intrigued, intimidated or overwhelmed? * Wish your coloring pages looked more artistic? * Wondering what to do with what you color when you are done? Well, we're about to make the process both therapeutic and inspirational! This retreat will delight the inner artist child in you, and at the same time take your coloring to the professional, "grown up" level. We'll go beyond your average art supply of colored pencils and gel pens, and have fun getting artistic color blends and gradations that will bring your designs to a professional level. Plus give you tips for using your artwork and skills for more than just coloring pages! 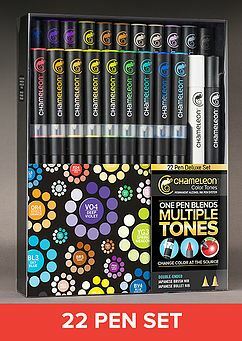 Come play with the Chameleon Color Tone Pens, the alcohol markers that allow you to get many variations of color tones from the same marker! Just 22 pens gives you a full spectrum of colors and blending options . . . Whether you love coloring pre-printed designs or drawing your own illustrations and patterns (think Zentangle), the multiple tones of these pens will bring dimension and shading to your artwork. We'll start step-by-step as you learn all the tricks of gradient blending, drop-shadows and white space usage. And then from there, you can color the day away . . . Choose the $25 retreat fee and try out our Chameleon pens, as well as play with other studio coloring and drawing tools such as Derwent Inktense pencils, Prismacolor pencils, Microns, Tombow markers, gel pens and more. 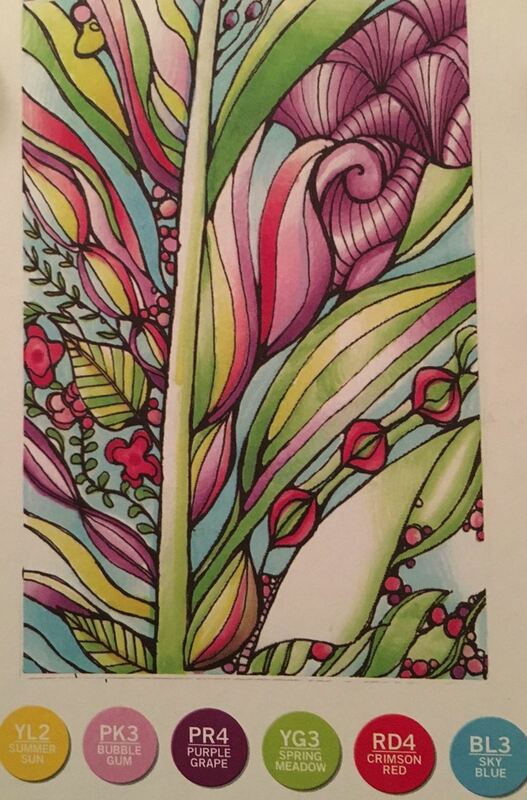 Color at your own pace on the coloring page of your choice, or design your own - we'll have plenty to choose from! Here's a sneak peek of the Chameleon videos, in case you are wondering whether to jump in and purchase them . . .